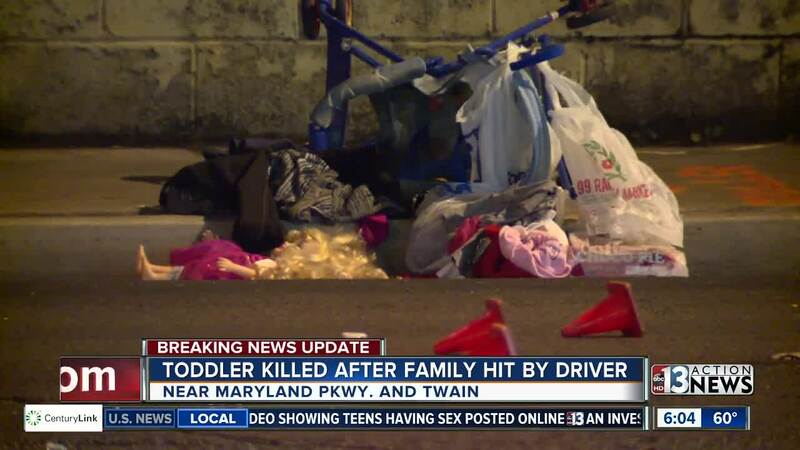 A mother and her three children were hit by a vehicle while crossing the street near Boulevard Mall Monday night. A 4-year-old boy was killed and his mother is fighting for her life. The incident was reported at 6:27 p.m. Police say the family was crossing East Katie Avenue in a marked crosswalk. Police said the little boy died at Sunrise Hospital. The Clark County coroner identified him as Abdulwahab Noori. His 25-year-old mother is in critical condition and two younger female siblings, ages 2 and 3, are expected to recover from their injuries. A witness tells 13 Action News he was on a smoke break at work when he saw the incident. He said he saw the mother and her three small children in the crosswalk when the driver of a blue pickup truck pulled out of the shopping center near Best Buy and turned right, hitting the entire family and dragging them several feet before stopping in the roadway. "They were already crossing," said Lekian Perereio-Acanda. "Like there's no excuse for the guy to say I didn't see them when they were already out there." Police said the 74-year-old driver of the truck remained at the scene, passed a field sobriety test and is cooperating with the investigation. Police said it was the third fatal auto-pedestrian accident involving a child within a month and the 114th traffic-related fatality this year. 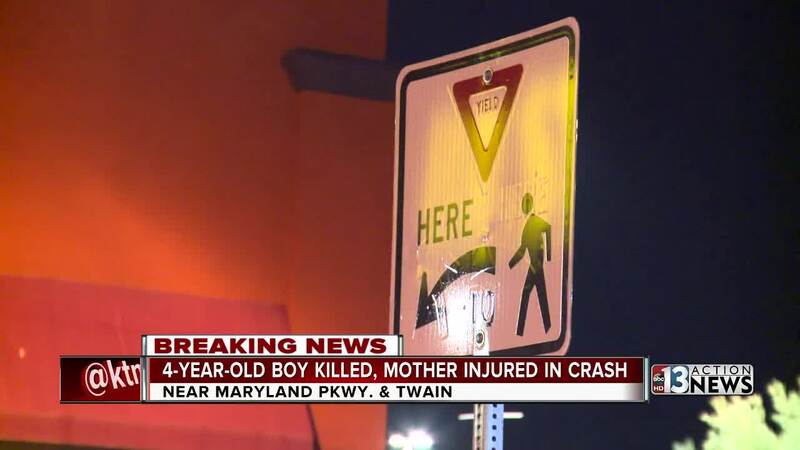 In May , another mother and her three kids were walking in a crosswalk near Dumont Boulevard and Maryland Parkway, right across from the Boulevard Mall, when they were hit by a vehicle.